Find out the real reason you’ve been feeling down. You haven’t been feeling yourself for a while now. You aren’t quite sure when it began, and maybe it seems like it has always been this way, but way back in the recesses of your memory you think that there was a time when things felt…better. But now, you feel tired, irritable, frustrated with life, and sluggish. You can’t put a finger on the source of how you feel, just that you don’t feel great. This is a difficult and upsetting experience. You may be wondering if something is wrong with you. But it isn’t you, the winter blues are setting in. 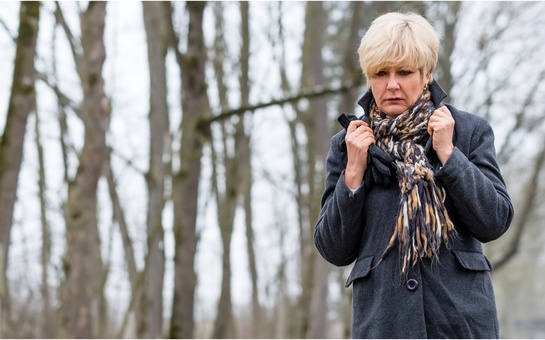 The cold weather, short days, and general lack of sunlight can zap the energy out of anyone, but for some of us, the winter blues are a little more than that–it’s a seasonal affective disorder, and it is very real. Winter blues symptoms can make life really difficult during these long months..
Ways to Fight the Winter Blues. Brighten your environment: Open those curtains and blinds and let the sunlight in. Make a point of spending your time near windows to catch some extra rays. A special light therapy box can also give you an extra boost. This is one of the most effective forms of treatment for seasonal depression. Get outside: When you are feeling blue it is all the more easy to hunker down in the dark and stay there. But getting outside, getting fresh air and some sunlight can make a huge difference. Make a point of adding some extra time outside each day–even when it is cold and cloudy. Exercise: While it can be hard to bring yourself to exercise in the winter, especially when you are already feeling sluggish, it can do wonders for curing the winter blues. Exercise and physical activity alleviate stress and anxiety–both of which can worsen the symptoms of seasonal depression. Exercise also gives you an energy boost which will help counteract some of that winter sluggishness. Embrace winter activities, such as skiing, snowboarding, snowshoeing, and sledding. Eating right: The winter months are a time when we often succumb to heavy comfort foods and may be getting less fresh fruits and vegetables. Eating healthy foods and getting plenty of fresh produce can help give your body the extra support it needs during the winter months and keep you feeling fresh. Talk to your doctor: Talk to your doctor about your symptoms and possible treatment options. Don’t let winter blues symptoms keep you down. Contact Wellworks For You for more information on how to stay healthy and happy throughout the winter.